one of the best fast food chains in the province of quebec does not have any presence in montreal. 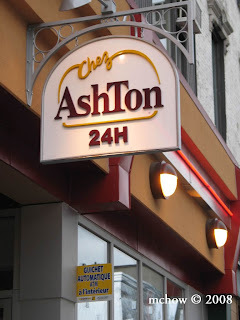 ashton uses local potatoes from île-d'orléans for their golden frites, and fresh curd cheese (fromage en grains)... the kicker is the homemade sauce. 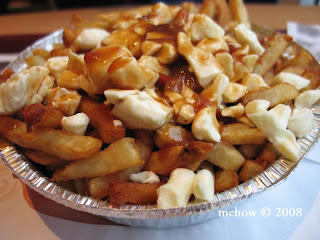 they also have a few poutine varieties: regular (with or without sausages); spicy; dulton (with ground beef), with or without sausages; and galvaude (with cubed chicken and peas), with or without cheese.